The CABEM Competency Manager is a performance management system that provides a framework for individual competency. Train employees, manage learning pathways, and reduce risk across the organization. Work for CABEM Competency Manager? 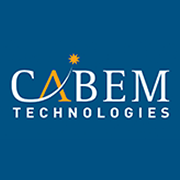 Learning about CABEM Competency Manager? This software is fabulous! It's user-friendly, intuitive, and easy to learn, providing lots of flexibility. It's been a tremendous asset to the organization, enabling the management team to build a program for growth and success for employees, which also translates to growth and success for the organization. The software allows us to structure by location, role, department, and more. One thing that we love is that it doesn't only track the individual's competency, but offers flexibility to include multiple completion methods of each competency such as witnessing, approvals, and traditional LMS techniques. With that said, I can't leave out a critical component that is part of the charm here... and that's CABEM's attention to customer service. There has never been a time that I've felt like I'm on my own in this journey. I've had fabulous support and direction from the start. I look forward to offering critical and honest reviews, including the good, the bad, and the ugly. In this case, however, I can't think of anything that I don't like about the software! We explored a few options prior to going with CABEM. Nothing that we saw compared with the ease of using this software. In trying to help a client establish a solid, repeatable, and easily manageable training program, this tool has helped them hit a home run! * We monitor all CABEM Competency Manager reviews to prevent fraudulent reviews and keep review quality high. We do not post reviews by company employees or direct competitors. Validated reviews require the user to submit a screenshot of the product containing their user ID, in order to verify a user is an actual user of the product. Hi there! Are you looking to implement a solution like CABEM Competency Manager?